Main Street Project Chief Strategy Officer Reginaldo Haslett-Marroquin has a dream to revitalize rural Midwest communities—and it begins with a chicken. According to Reginaldo—or Regi, for short—a poultry-centered regenerative agricultural model can chart a course toward prosperity for Latino immigrant families, boost local economies, and provide healthier food that all people of all incomes can afford. Main Street Project’s work is not just about happy chickens or healthy soil—they’re also working to develop comprehensive regional, alternative food systems controlled and/or owned by the people who grow, sell, and eat the food. The first step is education. Main Street Project’s programs educate farmers in agricultural methods and processes, give them experience in small poultry-based farm operations, and provide them with the infrastructure and support they need to deliver products consistently across diverse ecosystems, markets, and cultures. “Farmers don’t just grow crops and tend to animals; they are the stewards of complex ecosystems. 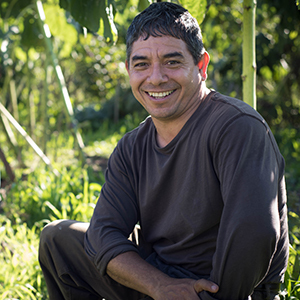 We are providing the next generation of farmers with the foundation they need to thrive in regenerative agriculture systems,” Regi told us. Regenerative agriculture with Main Street Project starts with people, but it also built on the foundation of ecological resilience and economic success—making up the triple-bottom line approach.